Operation of ADSL – what equipment do I need and how must it be connected together? 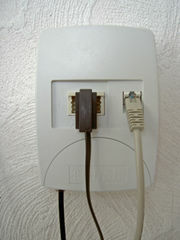 A DSL splitter or DSL filter must be provided at the ADSL customer’s premises in order for the service to work. 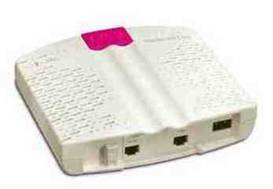 Sometimes this device (e.g. 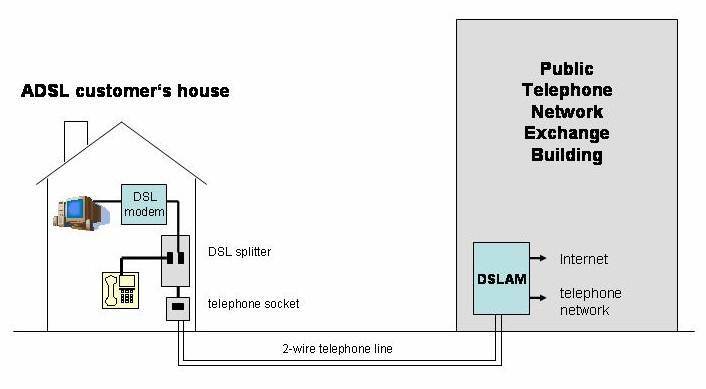 DSL splitter) is despatched in the post to the customer by the service provider at the time when the customer signs up for ADSL service. The customer need only plug the device in according to the installation instructions. Alternatively, in some countries, it is the responsibility of the customer to purchase his own filter or splitter. 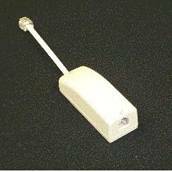 In these countries, the splitter may be provided as an ‘in-cable device’ (like that illustrated on the right above) and be provided with a DSL modem, when purchased from a computer store.